Brexit will boost pig farm incomes, at least according to modelling by AHDB, which has looked at the impact of various future scenarios on the different sectors of agriculture. Under one scenario, a move to World Trade Organisation tariffs for all trade, pig incomes are forecast to quadruple due to the impact this would have on the cost of imports. With so many variables at play, however, it would be unwise to draw any firm conclusions from the analysis. 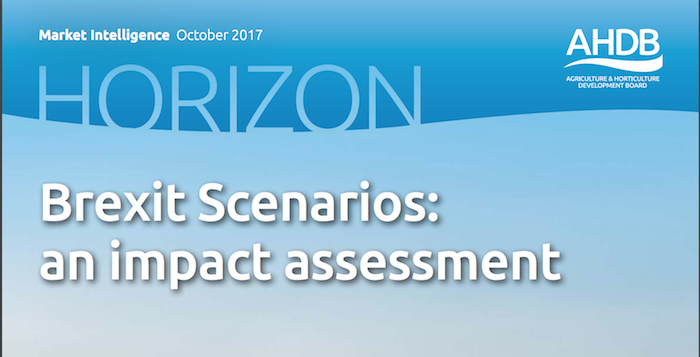 AHDB’s latest Horizon report, ‘Brexit scenarios: an impact assessment’, explored four areas – trade, domestic farm policy, labour supply and regulation – using three scenarios to try and quantify the impact of various Brexit policy directions on UK farming. Scenario 1 essentially represents a ‘business-as-usual’ option where policy, regulatory framework and trading relations remain as close to the status quo as possible, given that the UK will no longer be part of the Single Market. Scenario 2 sees direct support abolished and overall support payments to UK farmers halved, with access to EU labour also halved and no change in the cost UK casual labour. The UK adopts a liberal approach to trading, with no UK-EU trade deal. WTO rules apply but the UK unilaterally abolishes import tariffs for all agricultural products, resulting in increased competition from non-EU imports. Scenario 3 envisages greater cuts in support and a 50 cut in EU labour supply but with higher costs of UK casual labour. There is no UK-EU trade deal and the UK adopts the same WTO tariffs as the EU for imports of goods from outside the EU. The projected increases are driven mainly by increases in UK market prices caused by the additional costs of imports, particularly Scenario 3 where tariffs dramatically hike up the cost of imports. This would enable investment in the industry. In the modelling, this effect heavily outweighs any changes in support payments and costs, including rising labour costs. In fact, in scenario 2, reductions in variable costs are forecast due to the lower burden of compliance with regulation and lower feed costs. However, increases in the cost of regular labour under Scenarios 2 and 3 contribute to higher fixed costs. There are some major caveats, however. For example, the huge rise in income under Scenario 3 would reduce once the industry has time to adapt and increase production, while the impact of higher prices on demand also needs to be taken into account. Furthermore, the report authors acknowledge that difficulty in balancing the carcase could ‘considerably reduce’ forecast price rises. And the report notes that access to labour and managerial expertise will remain key barriers to growth. Overall, the impact of the various scenarios depends on whether sectors are net importers or exporters – most come out worse than pigs. Under Scenario 3, for example, all sectors except pigs and dairy lose out, while Scenario 2 sees all sectors worse off, except pigs. Average farm profitability could drop from £38,000 to £15,000 a year in the worst case scenario but, AHDB said, under all scenarios the top 25% of businesses, regardless of sector, remained profitable.